By accessing this website, referred to hereinafter as the CCSN, you are agreeing to be bound by the CCSN’s Terms and Conditions of Use and Community Guidelines, all applicable laws and regulations, and agree that you are responsible for compliance with any applicable local laws. If you do not agree with any of these terms, you are prohibited from using or accessing the CCSN. The materials contained in the CCSN are protected by applicable copyright and trademark law. The CCSN reserves the right to make changes to its web policy at any time. Any new policy, when posted, will apply to everyone using the CCSN and will replace any prior policies. You may wish to check periodically for changes to our web policy. By becoming a member of the CCSN, you represent and warrant that you are at least 18 years old. You represent and warrant that you have the right, authority and capacity to enter into this agreement and to abide by the terms and conditions of this agreement. Your membership for the CCSN is for you sole, personal use. You may not authorize others to use you membership, and you may not assign or otherwise transfer your account to any other person or entity. Membership to the CCSN is currently free of charge. We reserve the right, at any time, to assess fees or charges for using the CCSN. To become a member of the CCSN, you must register for the CCSN by completing the membership form. When and if you register to become a member, you agree to provide accurate, current and complete information about yourself as prompted by our membership form, and to maintain and update your information to keep it accurate and current. 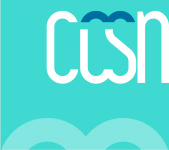 You agree that the CCSN may rely on your membership data as accurate and current. You acknowledge that if your membership data is untrue or falsified in any respect, we may terminate your membership. Although we aim to verify the accuracy of the information provided by CCSN members, we do not verify information in membership profiles, and we have no control over, do not guarantee, and are not responsible for the quality, truth, accuracy, legality or safety of CCSN members. You agree to safeguard your password, and not to disclose or transfer your password to others. We reserve the right to cancel any registration if we discover that a password is being used by more than one person or has been given to another person, regardless of whether the other person actually uses it. You may terminate your CCSN membership at any time via the website or by sending us written or email notice of termination. Either you or the CCSN may terminate your membership by removing your profile, at any time, for any reason, with or without explanation, effective upon sending written or email notice to the other party. By providing content to the CCSN, you warrant that you own the copyright to the content or have permission of copyright holder to upload the content. You retain copyright ownership of any content you own at the time of submission that appears on the site. You agree to grant the CCSN and its members a license to use, display, reproduce, modify, adapt, publish, distribute, perform, promote, archive, translate, and to create works and compilations, in whole or in part for educational, non-commercial purposes only. Such license will apply with respect to any form, media, or technology known or later developed. You must not remove any copyright or other proprietary notations from the materials that you use from the CCSN. Except as noted above in no. 5, all content included or available on this site, including site design, text, graphics, interfaces, and the selection and arrangements thereof is ©2014 Christianity and Communication Studies Network, with all rights reserved, or is the property of FaithComm, Inc., and/or third parties protected by intellectual property rights. Any use of materials on the website, including reproduction for purposes other than those noted above in no. 5, modification, distribution, or replication, any form of data extraction or data mining, or other commercial exploitation of any kind, without prior written permission of an authorized officer of FaithComm, Inc., is strictly prohibited. Members agree that they will not use any robot, spider, or other automatic device, or manual process to monitor or copy our web pages or the content contained therein without prior written permission of an authorized officer of FaithComm, Inc.
You agree not use the CCSN in any way that causes, or may cause, damage to the website or impairment of the availability or accessibility of the website. You must not use the CCSN in any way which is unlawful, illegal, fraudulent or harmful, or in connection with any unlawful, illegal, fraudulent or harmful purpose or activity. You must not use the CCSN for any purposes related to marketing of your own except for areas specifically and expressly made available for the marketing of your own goods and services. You must not use the CCSN to copy, publish or send mass mailings or spam. You agree not to use the CCSN to copy, publish or send material which is illegal or unlawful, or material which could give rise to legal action under applicable law. All material you copy, publish or send via our website must not be defamatory, obscene, indecent, hateful, discriminatory or inflammatory; such material must not infringe any person’s intellectual property rights or rights of confidence, impinge upon any person’s privacy, or constitute incitement to commit a crime; further, material must not be misleading, deceptive, sexually explicit, threatening, abusive, harassing or menacing. We reserve the right to edit or remove any material posted on the CCSN without notice. We may take such action as we deem appropriate to deal with the posting of unsuitable material, including suspending or cancelling your membership, restricting your access to the CCSN, or commencing legal proceedings against you. The CCSN will not distribute or sell your personal information to any third party. We use your personal information to respond to your message(s) or request(s). We also add names and contact information provided on our web pages to our databases so that we can send you information about CCSN products, services, and donor opportunities that might interest you. The information about you in our database is password protected and available only to approved CCSN personnel. The materials on the CCSN are provided “as is” and on an “as available” basis. To the fullest extent permitted by applicable law, the CCSN makes no representations or warranties of any kind, express or implied, regarding the use or the results of this website in terms of its correctness, accuracy, reliability, or otherwise. The CCSN will have no liability for any interruptions in the use of this website. The CCSN does not warrant that your use of the network will be error-free, or that the service will meet your requirements or that any defects in the service will be corrected. The CCSN disclaims all warranties with regard to the information provided, including the implied warranties of merchantability and fitness for a particular purpose, and non-infringement. Any material downloaded or otherwise obtained through the use of the website is done at your own discretion and risk. You will be solely responsible for any damage to your computer system or loss of data that results from downloading such material. The CCSN uses “cookie” technology to send and store data that keeps track of where you are on the website. Many web browsers automatically accept cookies by default, but contain an option to turn off the cookie acceptance if you prefer. The CCSN does not use tracking or measurement tools that would allow your individual browsing activity to be tracked across third-party websites or that would give information about you as an individual to third-parties based on your browsing activity. You agree to indemnify and hold the CCSN, affiliates, officers, volunteers, and employees, harmless from any claim or demand, including reasonable attorneys’ fees and costs, made by any third party due to or arising out of your use of the CCSN, the violation of this agreement, or infringement by you, or other user of the service using your computer, of any intellectual property or any other right of any person or entity. PayPal is used to process any payments for products or services on the CCSN, and all major Credit/Debit Cards are all acceptable methods of payment. Unless otherwise negotiated in writing payment is due at the time of purchase. All services and goods remain the property of the Company until payment transaction is confirmed and the purchased product is paid for in full. In the event a payment has been denied or returned and product has already been shipped, you will be liable for any and all additional administrative and/or court costs necessary to recover funds. The CCSN is grateful for your support, which enables us to continue our important work. When you donate to the CCSN or make a purchase online, your credit card information is secure through a reputable Internet SSL site. Your credit card number is used only for that particular transaction and is not stored. If you have any questions regarding the security of your credit card information online, please contact us at [email protected] for more information. We do ask for personal information on our online donation pages so that we can properly process the transaction. This helps us prevent fraudulent donations. If you give a gift to the CCSN, your name and address will be placed on our mailing list for occasional mail updates unless you ask us not to send you communications. If you are making a donation in honor of or in memory of someone, we will not use their personal information for any purpose other than sending the acknowledgement card. The CCSN will not use a donor’s name without written permission. The exception is the CCSN’s annual report. However, you can request anonymous status for your records to ensure that your information will be withheld from this publication. Contact us at [email protected] and ask to have your name be anonymous. Any claim relating to the CCSN’s website shall be governed by the laws of the State of Michigan without regard to its conflict of law provisions. Christianity and Communication Studies Network, [email protected]; phone: 734.845.9713.